What are "priceless" paintings, and can such paintings be bought? Priceless paintings are simply extremely valuable paintings. While some of them are in museums and not for sale, most so-called, "priceless" paintings in private hands can be bought if enough money is offered to their owners. 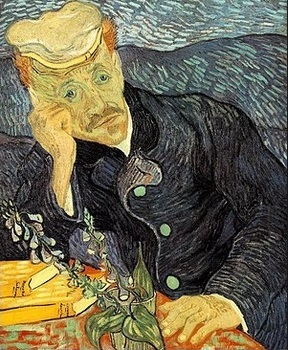 For example, Vincent van Gogh's 'priceless' Portrait of Dr. Gachet (right), one of van Gogh's last paintings, sold in 1990 for $82.5 million. Pablo Picasso's Boy with a Pipe topped that in 2004 at $104 million, to be topped in turn in 2006 by the $140 million that the Hollywood mogul David Geffen took to part with his 'priceless' No 5, 1948 (above) by Jackson Pollock. 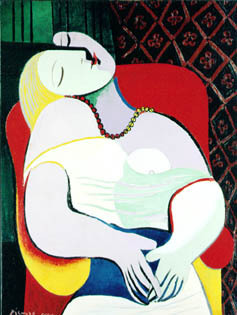 A close second would have been the $139 million that Las Vegas mogul Steve Wynn was about to get for Picasso's Le Rêve (right) in 2006. But days before delivery, the nearly blind Wynn put his elbow through the portrait of Picasso's young mistress while showing it off to guests and punctured it with his elbow. 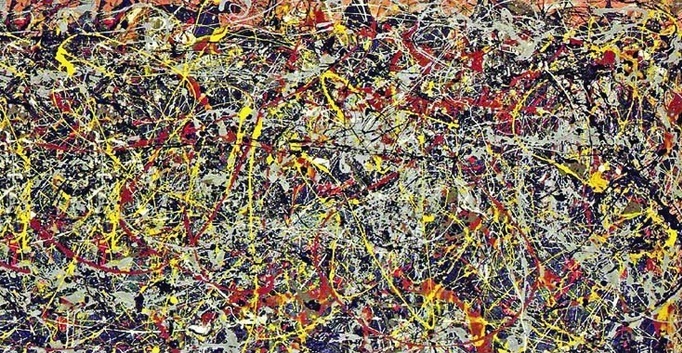 Although repaired, the damage is visible under black light and the painting was appraised to be worth under $100 million, literally "price-less" by at least $40 million. By 2013, however, it had re-appreciated and Wynn sold it for $155 million. In 2015, Picasso's The Women of Algiers sold for $179 million to set the new record, and in 2017, all of the sales records above were obliterated by the $450 million that a Saudi prince paid for Salvator Mundi. Truly priceless paintings hang in museums. Leonardo da Vinci's Mona Lisa at the Louvre in Paris, for example, is valued at over $1 billion but isn't for sale even at that price, while da Vinci's The Last Supper physically can never be sold. What determines the value of paintings? It depends on more than just the names of the artists, who have their good years and bad, strengths and weaknesses. Typically, the paintings most in line with the media, style and size for which an artist is best known and from the artist's best years are the best buys; such artwork appreciate faster and retain their value better during market upturns and downturns, respectively. The value of paintings also depends on their condition as Steve Wynn learned, and provenance, a French word that means "origin" or "pedigree." Paintings that once graced the German Kaiser's palace and later the home of Jackie Onassis, for example, would be worth more than if the same artwork had passed through less illustrious patrons. So, how much should you spend on a painting? Continue here, as well as here if you know Salvator Mundi.